Our aluminium windows are a great way to give your Bishop's Stortford home a sophisticated style. We offer unbeatable thermal protection with our aluminium windows so you get a warm home will low heating bills. With the high security options we offer, your home and family will be better protected with our aluminium windows. We offer you a stunning range of aluminium window designs to choose from, so that you get the perfect product. Our aluminium window prices are the most attractive and cost-effective in Bishop's Stortford, giving you superb value. When you allow double glazing installers into your home improvement project, you want to be sure about their credentials and reliability. That’s why we only work with the best installation teams, who boast a wealth of experience in their field and can maximise productivity and customer service with both qualifications and on-site experience. If you do decide to work with our teams on your aluminium windows, then you’ll see just how trustworthy we are, and you’ll further understand exactly how and why we are officially accredited by Checkatrade and Which? Trusted Trader. What’s more, we also are fully accredited and approved by Trading Standards. As a result, you can be sure about the quality of your installation with us. Aluminium windows can be the most stunning and modern-looking of all windows. Moreover, we select our windows from the Alitherm range by Smart Systems for their undeniable appeal and classic good looks. As a result, our customers in Bishop’s Stortford get the advantage of our exquisite selection and designs. We are confident that our range of windows has designs suited to every property and architectural style, and you’ll easily find the style that’s right for your Bishop’s Stortford property. We utilise the latest manufacturing techniques in the home improvement industry to properly ascertain that you’re getting the product you deserve. We are proud to state that we here at AA Windows continue to be a family-run business. Our biggest legacy over the years however has always been our satisfied customers, and we seriously value everything our old clients have to say about us. Moreover, the testimonials from previous customers helps our new customers see the kind of service we provide. This is why we proudly display each testimonial, so that you can see what they think of us. One of the direct consequences of the strength of aluminium is the fact that aluminium windows can have slimmer profiles. Unlike other less robust materials, it takes less surface to hold the double glazing. As a result, you get slimmer frames and more glass area. This gives you greater visibility and panoramic views. Additionally, you also get more natural light flooding into your home, which is the perfect way to make your already homely Bishop’s Stortford property feel brighter. Our aluminium windows are amazingly stylish, and exude elegance with their slim sightlines. These windows are therefore a great way to enhance the look of your Bishop’s Stortford home as well as its performance. We have some of the most striking window designs in our collection as well as a splendid selection of RAL colours to choose from. As a result, you can pick colours and finishes that appeal to you, and that properly reflect your personal style. Aluminium is a very resilient material. That, along with the fact that our aluminium windows have a scratch-resistant surface treatment, give them enduring good looks. Moreover, the stunning appearance is extremely easy to maintain. Unlike wood, this material just requires a few minutes a day. Your windows will continue to give you long-lasting performance and looks with just a wipe down with a damp cloth. The resilience that makes aluminium so easy to care for also gives it superior protection from the elements. The durable surface can resist the damaging effects of the sun, rain, frost, and wind. As a result, your aluminium windows will look as bright and vibrant as the day they were installed even after years. What’s more, when we install your windows, we ensure that they are effectively sealed, so that your home is draught-free. Another advantage aluminium windows offer is enhanced security for your home. These windows are virtually indestructible. As a result, they make it difficult for intruders to break in. Moreover, we fit them with state of the art locking systems. Consequently, the windows add to the security of your home. Both the profile and the locks are hard to damage. This means that you and your family can sleep easy. 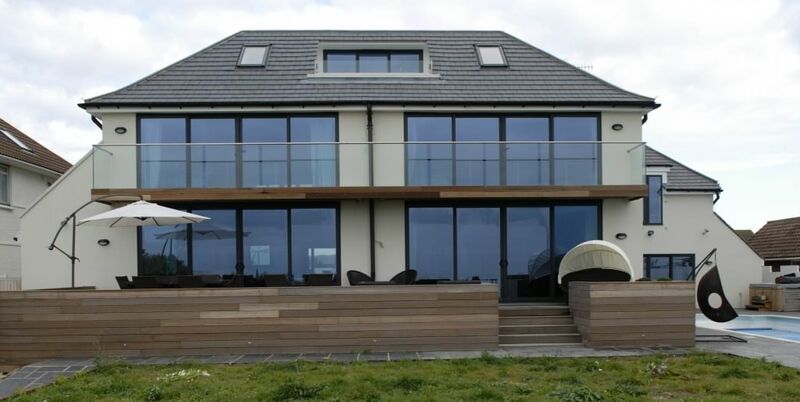 The aluminium windows we install for you will definitely improve the performance of your home. In addition to weatherproofing and securing your home, these windows also provide superior insulation. As a result, your home does not need as much heating to get warm. Moreover, these windows insulate your home so the heat does not escape. As a result your home becomes more efficient with the heat, leading to lower energy bills. We offer such attractive prices for our aluminium windows that you won’t find better value anywhere else in Bishop’s Stortford. What’s more, you don’t even need us to get your own quote. Simply use our online quote calculator and get instant price estimates. Just enter your requirements and it will do the rest! Alternatively, you can speak to someone from our friendly team if you contact us.